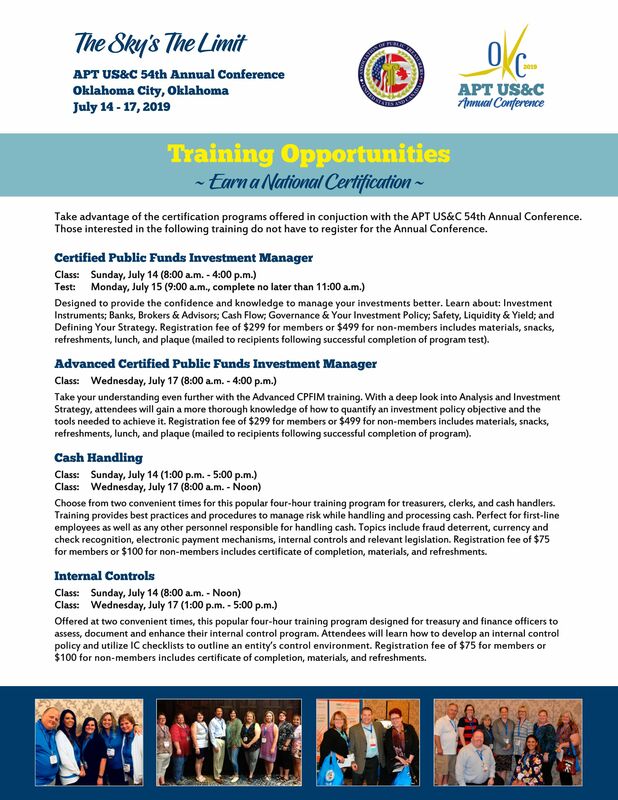 The nationally recognized Internal Controls program is a popular, four hour training program for treasury and finance officers to assess, document, and enhance their internal control program. Attendees will learn how to develop an internal controls policy and utilize IC checklists to outline an entity's control environment. Registration fee of $75 for members and $100 for non-members includes a certificate of completion, materials, and refreshments. You can register for the Internal Controls training as part of your conference registration or you can attend only the Internal Controls session (or other add-on training) by registering here.